Oh my, it's been weeks, hasn't it? There's been so much to do and so little time for picture-taking and post-writing. 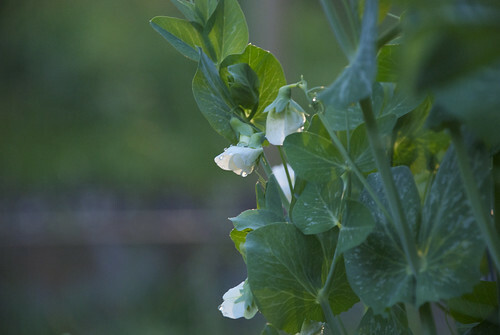 So today, a quick overview and some pictures of pea blossoms. 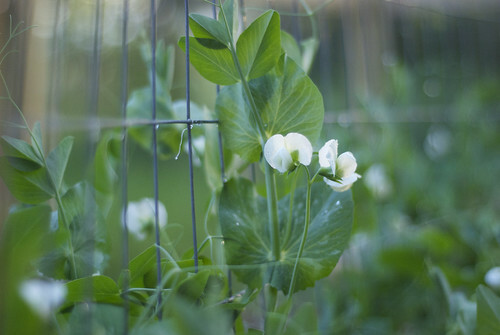 Sometimes the camera is just drawn to the peas. 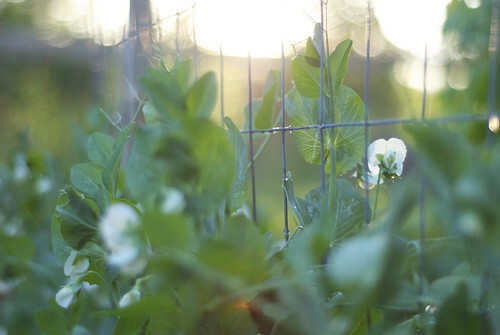 And those peas are doing great. They were our first planting of the year and they are already climbing up taller than Walter – no small feat! We planted the rest of the garden last weekend and I'm seeing lots of things popping up already. 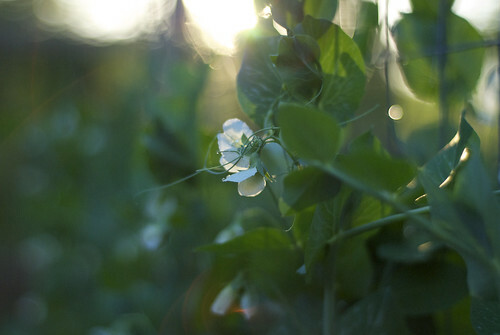 It happens every year – those first seeds sprout and I'm as excited as a kid on Christmas. All that gardening last weekend and perhaps my attempt to do a cartwheel (why?) caused my neck and back to go out. The kind of "out" where turning my head meant turning my entire upper body. One week and several chiropractic adjustments later and I'm just about back to normal. And normal feels good! Maybe we need to feel bad sometimes just to remind ourselves how great "good" feels. But no more cartwheels for me for a while, or maybe ever. I hoping that Walter gets that great "good" feeling soon. Today he was diagnosed with his very first ear infection. Poor kid, his little body like a furnace on this already hot day. We sweat it out together on the couch, playing games and watching Dinosaur Train. Almost 4 years without an ear infection – I realize how lucky we are. Nate is exactly one week away from running the Madison marathon. His training has tapered down and I plan to load him with pasta and protein all week long. Send encouraging thoughts his way! Tell Walter Mary & I hope he feels better soon. We also wish Nate good luck on the Marathon. They stopped the Green Bay Marathon yesterday after 2.5 hours due to people getting sick from the heat. Good to see a new post.